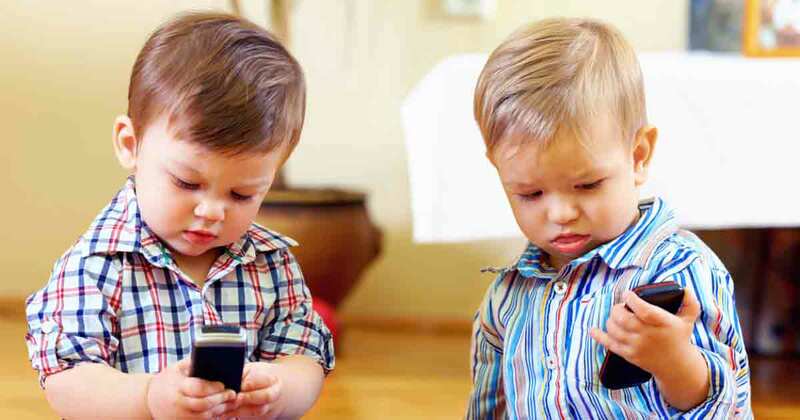 People of all ages are affected by mobile or screen devices, even children. As a parent, you may feel tempted to let your child play with your phone or tablet as long as they stay quiet and keep out of trouble, but like most things it is important that you remember to do so in moderation. Using mobile devices is not tremendously harmful; certain apps can have a huge educational impact on children boosting their skills in areas they may not otherwise be interested in. The problem is the amount of screen time your kids are being exposed to on a regular basis. They younger they are as their brains are developing the more adverse the effects may be. According to Psych Central more than 1.8 billion people own smartphones and according to recent studies, people check their screens more than 150 times a day on average. These statistics have affected children, too, and data from Britain shows almost 70% of 11 to 12-year-olds use a mobile phone and that this usage grows close to 90 percent by the age of 14. Parents of infants and children under the age of 2 should avoid exposing them to smartphones, tablets, computers, televisions and anything else that serves to entertain people through a screen according to the American Academy of Pediatrics. 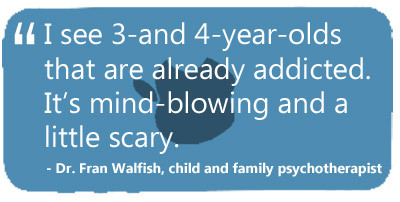 With this in mind, you may begin to wonder how this affects children, especially since they are still growing and developing. me interacting face to face with others. There are pros and cons to every situation but the goal is to moderate screen time for children. The percent of children that are thought to have Attention Deficit Hyperactivity Disorder (ADHD) has increased to 11% from 5% before 1990 according to the CDC in a New York Times article. It’s said that this increase is likely to do with sociological changes, including how kids use the Internet and mobile devices. The fact is that using smartphones forces people to tilt their heads down while moving wrists and fingers in unnatural ways. Doing this for long periods of time can cause pain and prolonged joint damage especially in the neck and spine. Lets face it kids these days rather be on their smartphones or tablets than going outside and playing. This requires long periods of time sitting down and kids have the natural urge to jump, hop, skip, climb and be active. This physical activity helps develop a strong and healthy heart, bones, lungs and muscles. Our suggestion is to enroll them in sports or make sure that they do some form of physical activity every day for at least an hour. You can join them too to make it fun! Staring at a screen for a long period of time can cause digital eyestrain, which can come in the forms of blurred vision, fatigue, headaches and dry eyes. Reduce the amount of screen time and help them properly position their devices to at least arms length. Trying to reduce the amount of screen time especially before bedtime can help, especially if they are experiencing irregular sleep patterns. Cut off their time at least an hour to two before bedtime, instead, read a book to them or have them read a book to you. As important as it is to remember to instill healthy habits in children, it is also vital to remember that children learn a lot by example.